Designing a chair represents a staple for every aspiring designer. A chair, in fact, stands at the crossroad of multiple demands: its ergonomics is more than essential in evaluating the pleasure of its usage, and yet its iconic value needs to overcome its functional features and establish a special narrative dimension that, almost like an aura, surrounds every legendary seat in the design world. As in all complex tasks, this giant effort is not confined to prototyping, but includes testing as a tough but intriguing part of the job. 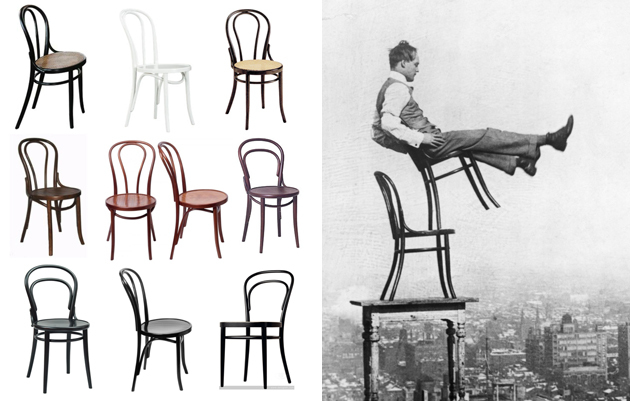 It’s no coincidence that design history starts with a daring testing procedure: when presenting n°14 chair at the World Exposition in Paris, Michael Thonet launched his “chaise bistrot” from the top of the Eiffel tower. His goal was to demonstrate how resistant, besides being formally innovative, his bended wood creation was, and thus the result has legitimated the risk. Further to this spectacular demonstration, “the most elegant chair of all times”, according to Le Corbusier, won the Gold Medal and was finally put in mass production. Another milestone among design chairs, Navy Chair by Emeco, shares another spectacular test practice. 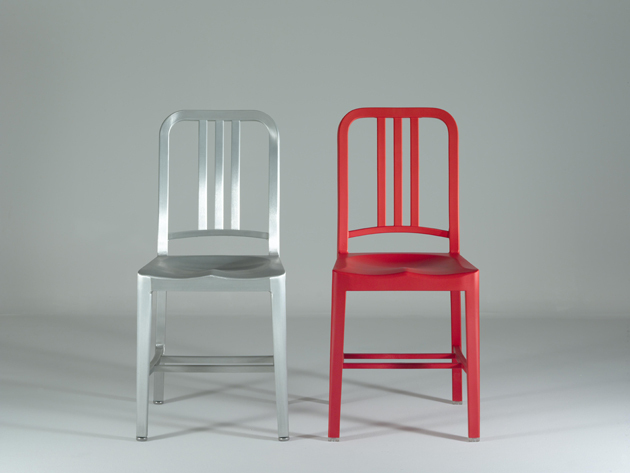 Commissioned by the American Navy in 1944 and basically confined to U.S. military submarines and ships till the ‘70s, this aluminium chair has always been celebrated for its resistance. 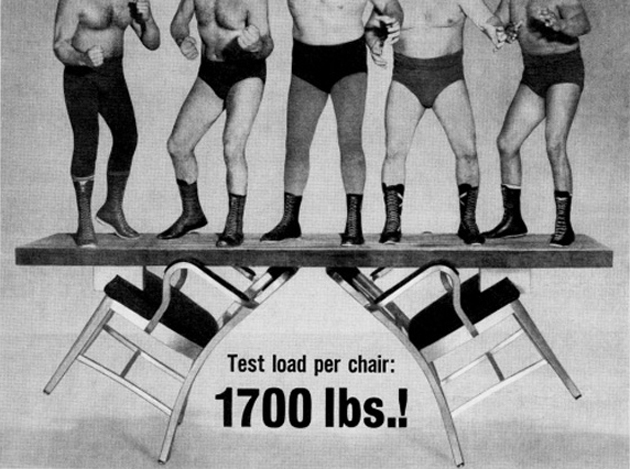 Guaranteed for 150 years, it was previously tested resorting to the considerable weight of a bunch of muscular men who were meant to jump on a board laid on its legs. Nowadays the process has gone mechanical and includes numerous testing phases, which submit each piece to drop, impact, back and legs strength stresses. However, advancements in technology change not only the way testing process is led, but also the target involved. 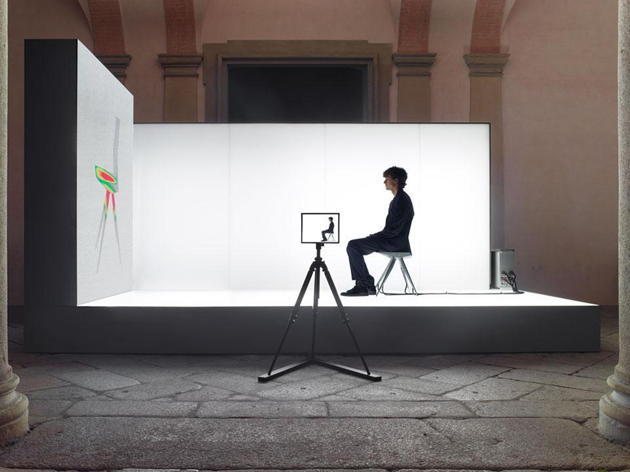 For their R18 Ultra Chair, designers Clemens Weisshaar and Reed Kram created a public testing environment during 2012 Salone del Mobile in Milan. 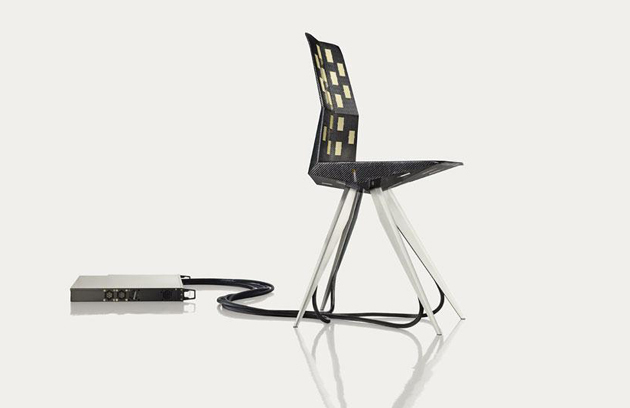 For this first crowd-sourced test in design history, visitors were invited to sit on the chair prototype and allow the sensors placed inside the seat to capture their movements and transform them into relevant data, used to optimize the final product. Beyond technology and its digital progress, however, testing can be transformed into an award-winning issue. 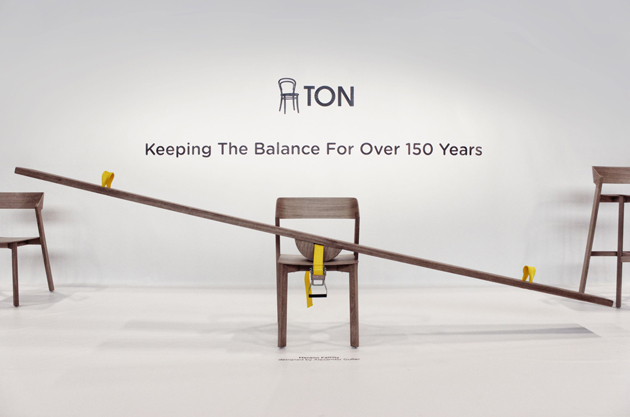 At the latest DMY in Berlin, the Czech company that has taken the reins of the manufacturing factories where Thonet chairs were first produced, Ton, won the Exhibitor Award for a special installation that animated its booth. On show, a slide on a chair – a clear reference to the way bent wood chairs were first tested- becomes not only a symbol of long-lasting handmade techniques, but also stands as a metaphor of the humble yet playful effort every innovation needs to support.